Looking west towards the Kottbusser Brücke – which you can’t see from the Hobrechtbrücke yet where I was standing here, because the canal makes a little bend further West. I had to take a break with my photo walks on December 21, but the next day I went out again – the target this time was the Turkish market on the other side of the river and the Kottbusser Brücke. 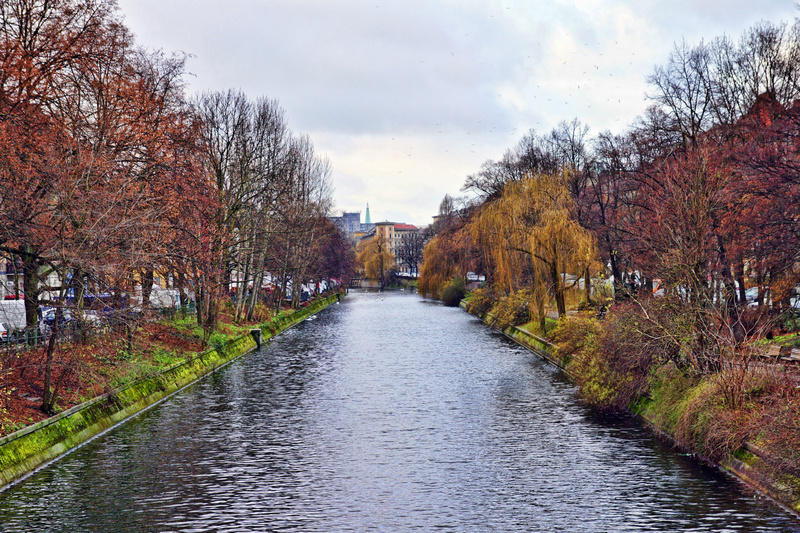 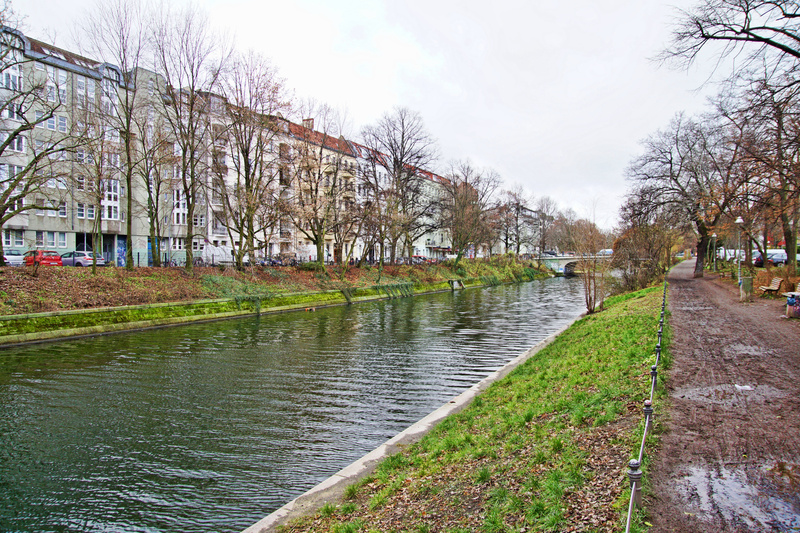 But this is just a shot of the Landwehr canal in the opposite direction I was heading.